How long would it take for a complete 3D "newbie" to learn to produce a work like that of this week's winner? Check out the comment from this week's winner. How, then, can you too qualify for this award? Please have in mind that this award is reserved for those that are on par with or that excel top-notch works published by artists and studios. If such work does not appear during a given week, this award is not being given to anyone. So please submit your best work to www.blenderartist.org or to the Member's Gallery of this site, or Contact Us to show where your work is available on the internet. It doesn't have to be a Blender render, internal or Cycles. 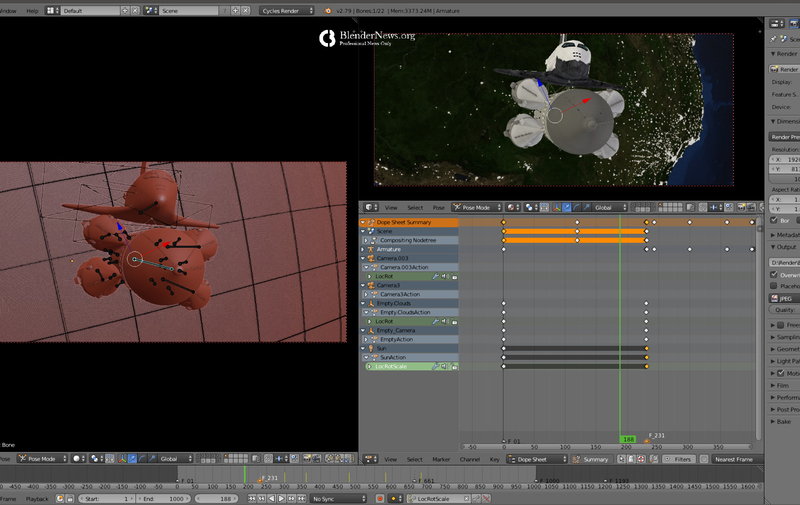 Any other render engine is fine as long as Blender was used as a part of your workflow. So, it is with great pleasure that www.BlenderNews.org introduces to you the winner of the Render of the Week Award for the week of June 11, 2018: Egor Rumyantcev. I’ve been working in Blender since 2015, I’ve never had anything to do with 3D graphics before, but I always wanted to make any kind of animation. I learned about this program on one site, I liked what I saw, I decided to try to study it. Well, now I spend all my free time on Blender. This project was done without a plan. I made a model of a rocket, wanted to render a rocket against the background of a planet, and then just added animation movement, etc.